Technology has been a good thing but it has also been a bad thing when it comes to Trading. Back in the old days we used to have a bigger, A longer-term perspective and not such a rushed perspective that people have these days or tend to have these days. 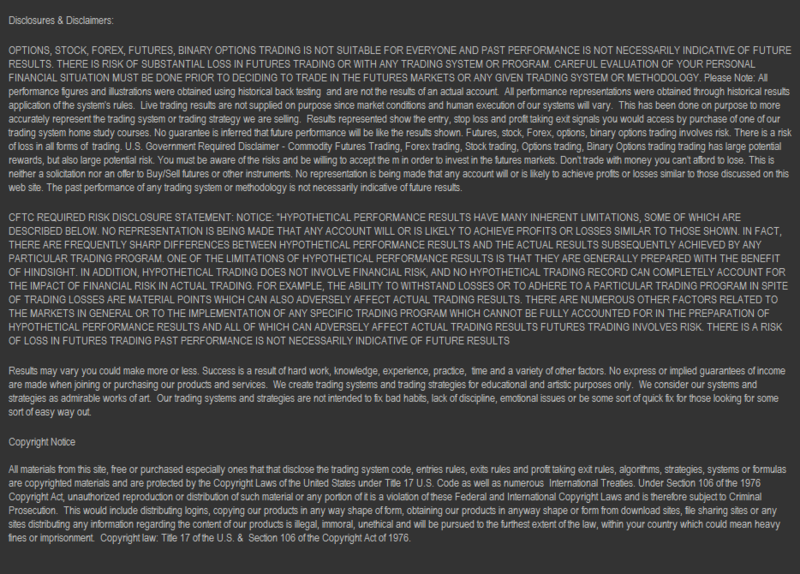 And I do mean the word rushed versus short-term perspective, although that's a problem to. What do I mean? When trading you need to have pacing with the marketplace. Now you can have pacing if you are day trading. But the problem is that when people day trade these days the tend to they look for shorter and shorter time frames in that they are often doing so out of some sort of panic. One may argue that a lot of modern-day panic and lack of focus comes from getting too distracted and enticed by all of these seemingly fun things to do that end up zapping and draining us, whereas a lot of people aren't getting a lot of things they need to get done, done. Maybe one could argue as well that modern-day folks on average have such poor diets that are so low in nutrients that it makes it difficult to concentrate or have calm mind. Maybe one could argue that one can't concentrate because they are disrupted by text messages, alert noises from their computers and cellphones and so on... Then there are a lot of emotional issues going on these days. People aren't getting their Maslow's basic needs and so on. So what's the point? The point is that I'm trying to get you to crack the code into making absolute fortunes from the markets! But how are we going to do that? We are going to do that or rather you were going to do that by learning from our trading teaching. We teach you how to break free of all this modern nonsense and get back into Old School pacing where as you can get yourself in a groove with the market for making absolute fortunes that are compounded over time. And guess what? In trading, most often it's the less you work that makes the most money. You can learn a ton from becoming a good day trader which will help you and all your trading. Also you can make a lot of money once you get into a certain style trading that grooves with your personality. But intraday day trading takes work. It also takes a lot of time. It takes a lot of focus. You don't have the freedom of lifestyle that you get with swing trading and longer time frames. 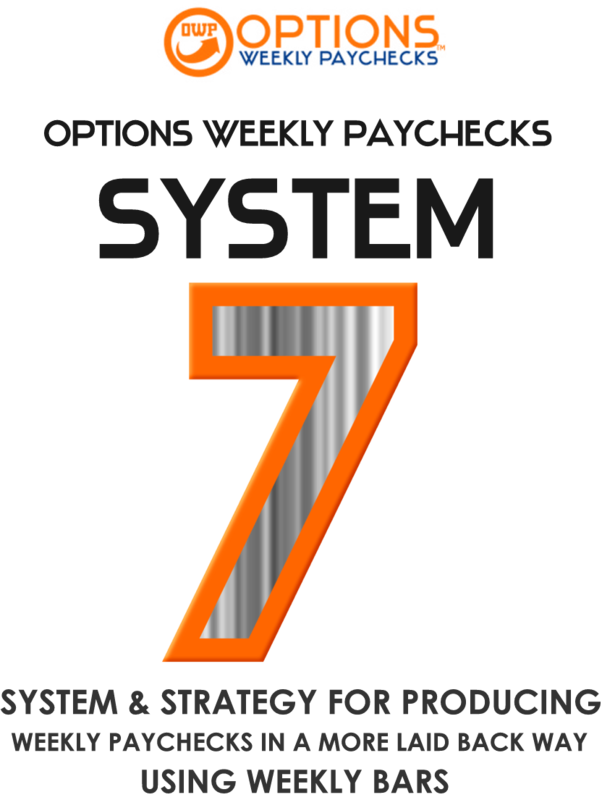 What I want to tell you about right now is that you may actually in finally find your break with our new OWP System 7. You basically only have to check in once a week! And as your account builds up things start to get really exciting. As your account grows so does your position size while you were using our money management approach. Then eventually you could be systematically trading very large position size in a very smart way feeling really good about each trade. And as you stack these trades up overtime well the results with compounding options correctly could be quite astonishing. We teach you this system in our video course. We will tell you the secrets of how this system works. We will teach you how to compound properly with options. You will learn which type of options to buy to that are best for lowest cost, best returns to least premium decay cost. Speaking of Premium decay people get worried because they read different books that look at the markets in different angles. But as you know from our options 101 course, premium decays very slowly when you buy options further out in time. So it's really not much of a worry at all. The problem comes with people buying short-term options without a specific price based trading mechanism that coordinates with a quick enough move to pull profits out of short-term options. So really you can trade short-term you just need the right system to coordinate the speed of price action with the premium decay on a short-term option. You should know that by now. If not get our options 101 and our other options training. Check out some of the performance records below of the system. These results are based on the exact system entry and exit rules. So they are accurate to what you are looking to buy. +30+22+4+8+7+1+5+3+14-4+1-3+5+14+10+3-3+2+33+30+8+2+63+-7+52+39+5 = +344 Total - Incredible! Plus it's very laid back trading!